In this engaging and interactive digital lesson, learners will receive direct instruction and practice organizing and developing a slide show using presentation software. They learn how to consider the audience and the purpose of the slide show to tell stories, present information, and share ideas. During this engaging and interactive digital lesson, the learners will receive direct instruction and practice composing slides using presentation software as they consider and use design elements, layouts, backgrounds, text, images, and white space to create and modify engaging slide shows. Students use presentation software to create birth certificates for themselves. Students create a booklet of slides about themselves using presentation software. The learners receive direct instruction and practice enhancing presentation slides to communicate their voice to an audience. They learn to choose and use effective color palettes, apply color and formatting to text, draw and customize objects, and add animation and sound in this engaging and interactive digital lesson. The learners will receive direct instruction and practice with enhancing and editing a slideshow before presenting to an audience. 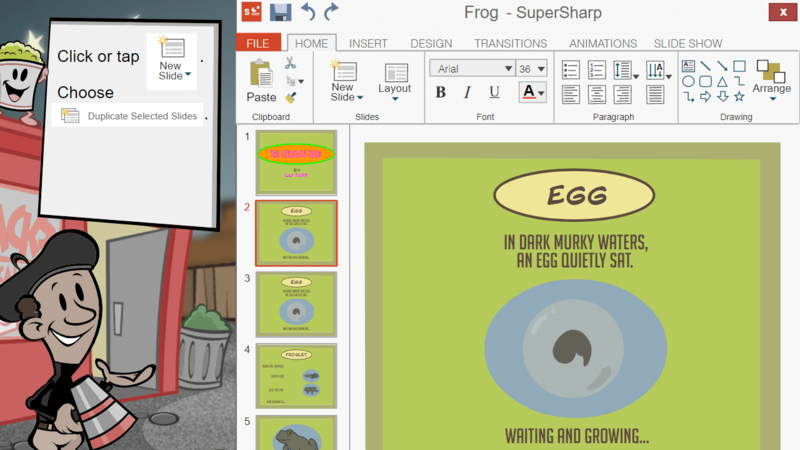 They will edit and organize slides, use tools to add consistent and appropriate transitions, and evaluate their work before presenting in this engaging and interactive digital lesson. Students form a group and create slideshow presentations about geographical locations of their choice. Students choose an audience and a problem that needs a solution, plan a presentation about solving the problem and create a presentation specifically for the chosen audience. Students create a presentation that describes the habitat of a specific organism. Students create a presentation about a natural resource for two different audiences. Students create presentations about jazz instruments. In pairs, students create a presentation comparing the adaptive characteristics of two organisms. 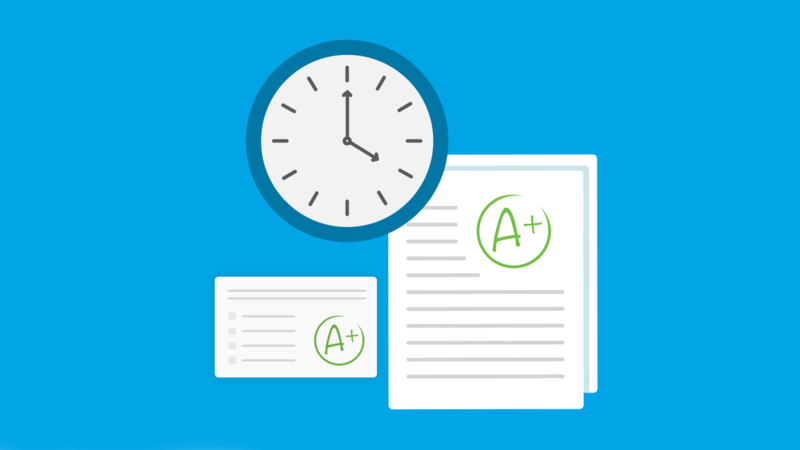 This unit quiz assesses students' knowledge of tools, menus, and views found in common presentation software. Equal emphasis is put on the student's ability to judge the effectiveness of design elements and how these might differ for different audiences and settings. 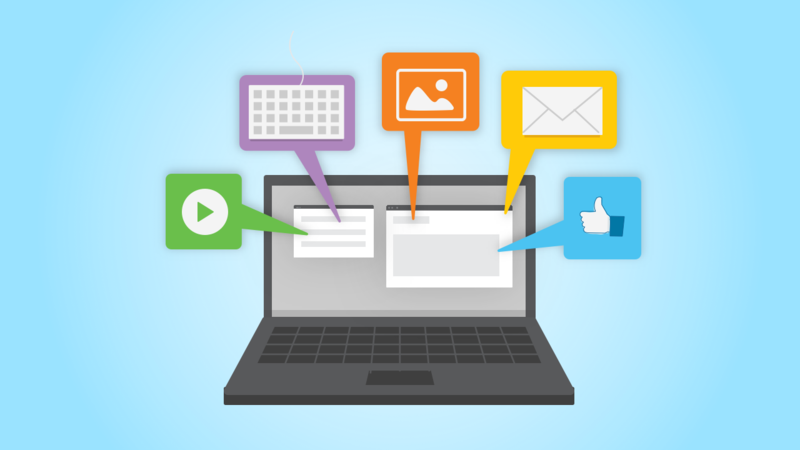 During this engaging and interactive digital lesson, the learners will receive direct instruction and practice using basic presentation software tools and elements, such as text and graphics, to design an eye-catching and easy-to-read presentation. In this lesson, students will modify an existing presentation about area and volume to include a sharp design and engaging elements. Students should complete this activity after viewing the EasyTech lesson Presentation: Basic Elements video. In this engaging and interactive digital lesson, the learners will receive direct instruction and practice using a variety of presentation tools with consistent design elements and themes to ensure a slide show presentation looks professional and conveys information in a focused and interesting way. What makes an ordinary presentation extraordinary? 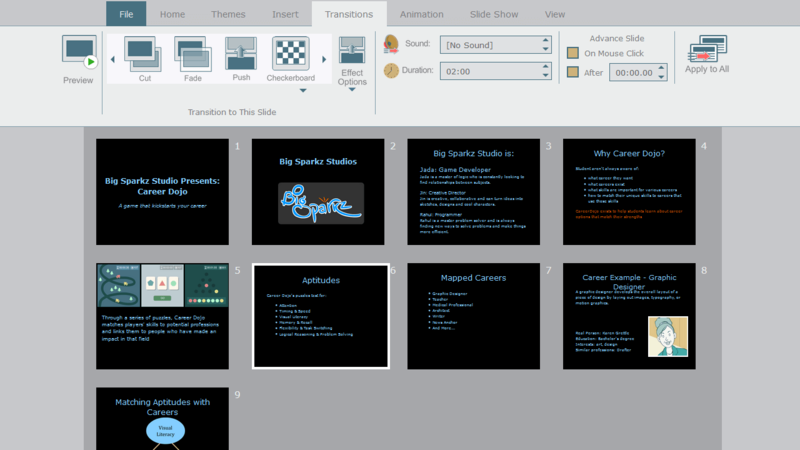 Students will incorporate elements of good visual design and consistency in creating an effective presentation using slide presentation software. They will learn to use consistent font types and sizes, colors, bullets, and image alignments to create a visually appealing presentation. Students should complete this activity after viewing the Consistency and Visual Design lesson. 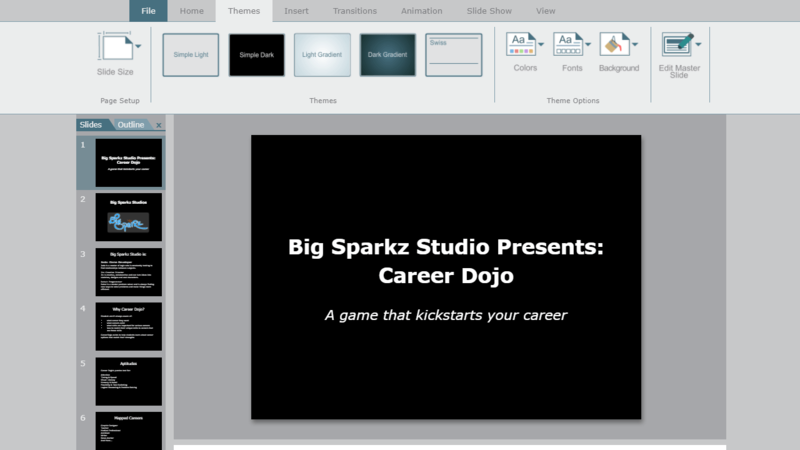 Students choose a possible career and create a presentation that explores the characteristics of that career. 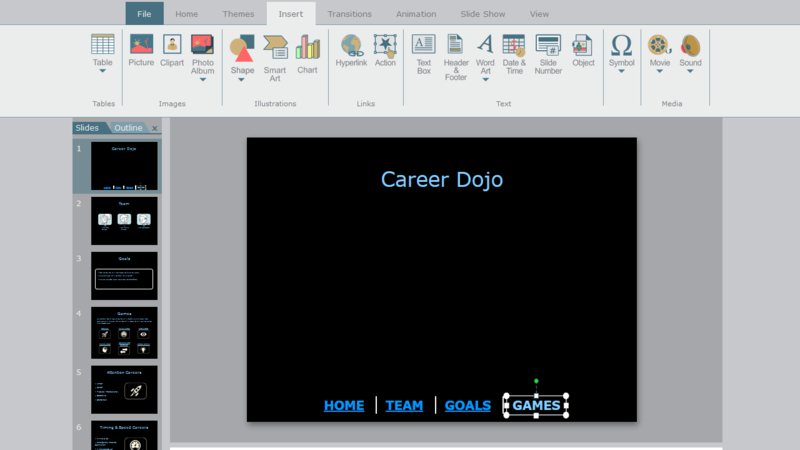 During this engaging and interactive digital lesson, the learners will receive direct instruction and practice with advanced features and tools in presentation software to gain a better understanding of how and when to use transitions and animations, add notes to slides, and use slide show preview. In this application exercise, students will be required to construct a problem/solution presentation on an assigned topic that has to do with protecting the environment. Students will incorporate information they have learned regarding motion design and presenting as well as information learned through research about an assigned environmental topic. Students create a presentation listing the pros and cons of an issue, ultimately persuading the audience toward a chosen point of view. Using presentation software, students create a non-linear presentation about some interesting inventions of the early 20th century. Using presentation software, students create presentations about significant events of the Texas Revolution. The learners receive direct instruction and practice with the design, create, and publish process. 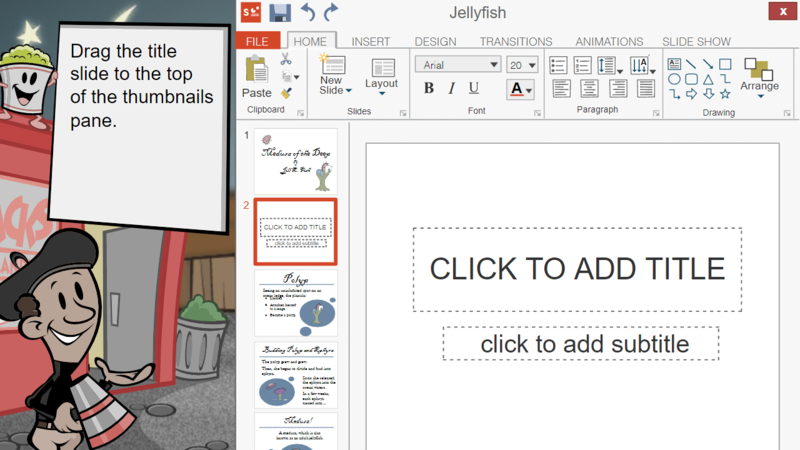 They will use advanced tools to create master slides, add animations, transitions, video elements, and hyperlinks to develop non-linear slide show presentations in this engaging and interactive digital lesson. 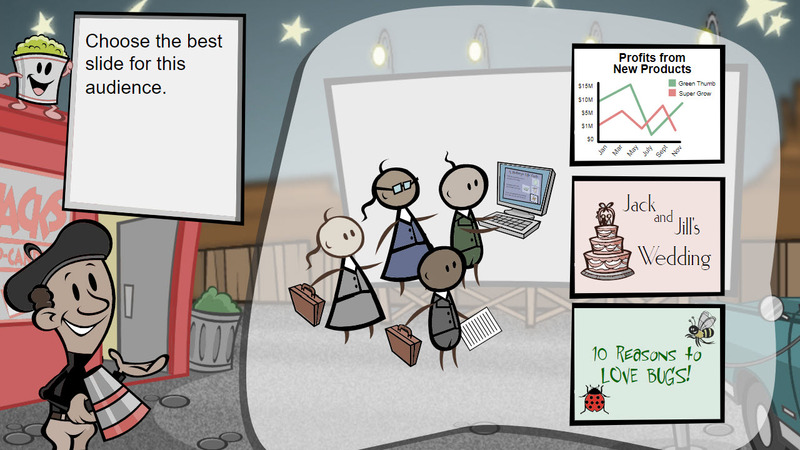 In this activity, students will create a game that employs nonlinear slide features. Students should complete this activity after viewing the EasyTech lesson Nonlinear Presentation Design video. Using presentation software, students create a non-linear presentation that persuades an audience to buy a chosen fictitious product. Students investigate troubleshooting strategies and practice following steps to troubleshoot common problems with technology. They summarize what they have learned in a digital product to help younger students address computer problems. Students use geographical tools, such as Google Earth and maps to find mystery cities in the United States using a given latitude and longitude. They then record the city and state name, and its latitude and longitude. Next, they choose a famous landmark in or near that city and describe its important physical characteristics. Students put the information into a PowerPoint presentation and have peers evaluate their work as well as conduct a self-review. 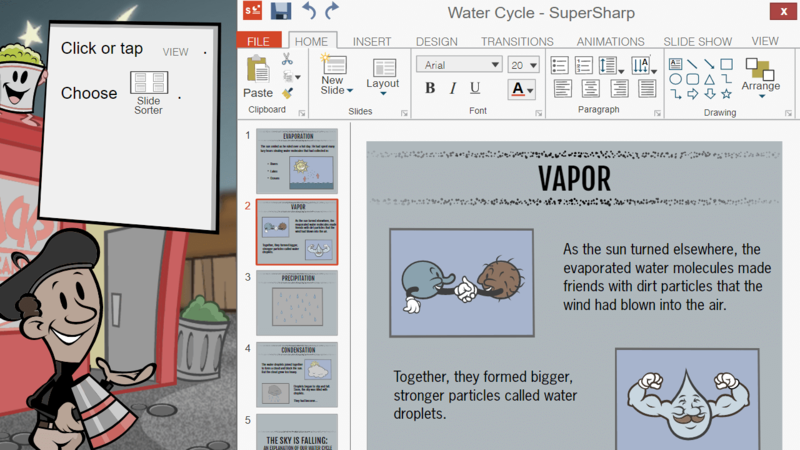 In this quiz, students will demonstrate their understanding of using software to create slide show presentations. 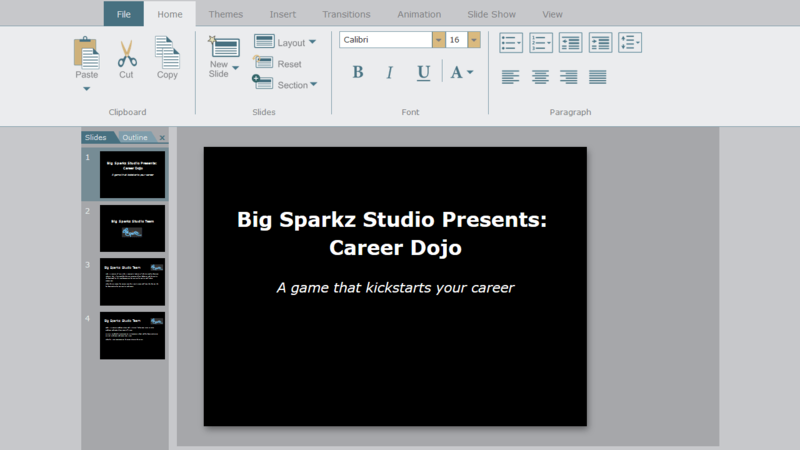 Students will identify tools and options that are available to users of presentation or slide show software programs. The quiz covers such topics as non-linear presentations, transitions, and design principles.